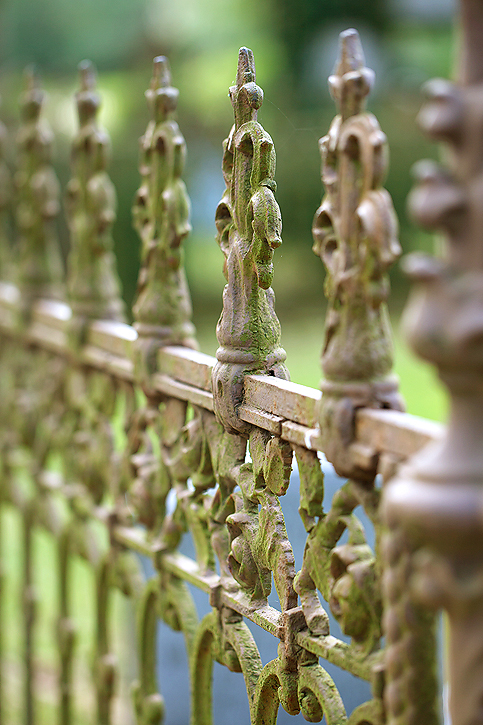 Today I'm sharing photos of a beautiful old fence that I found at a cemetery. It happens to be the same place I found the butterflies from last week. Now it's time to link up again. Let's see what you've been shooting! Both fences are very beautiful and intricate. I love the curves and moss of the top two photos and love the cross-hatching on the third combined with the arches. 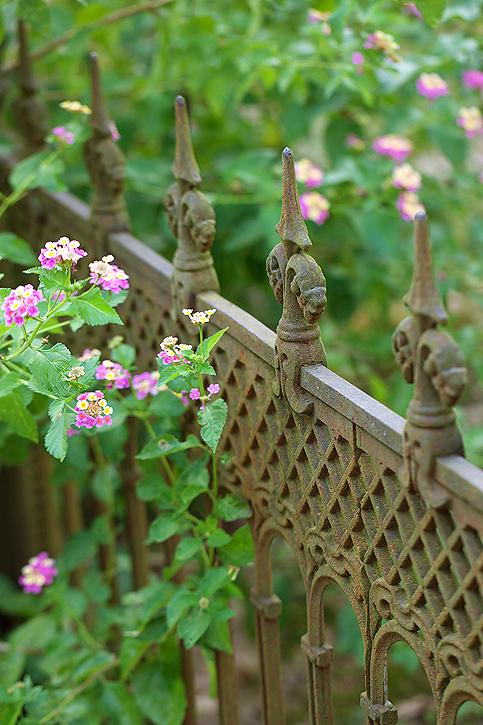 The lantana is a bright, fresh companion for the aged fence. The fences are fantastic. Your first photo is stunning ! That is such a pretty fence, and I love your depth of field. And the butterfly is of course gorgeous too! Gorgeous...and the stories it could tell! 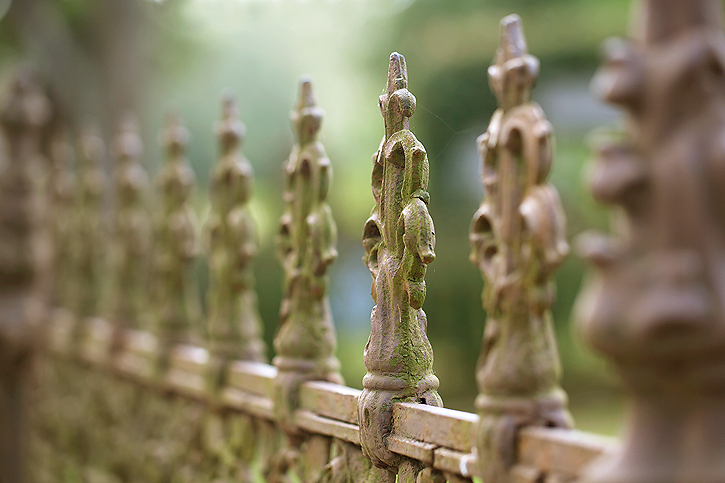 Great fence photos, love the DoF. Your butterfly is perfectly crisp, great shot! Gorgeous. I love fences and your photos are so crisp and beautiful. Just gorgeous!! I love every thing about these! So beautiful...love the DOF and soft colors! Such a lovely fence - nice shapes and lines. My favorite is the 3rd picture. You make such great crisp photos - beautiful! The detail of that butterfly is just amazing I just LOVE IT! what beautiful shape of the fence. Oh my, that sure is beautiful!! That fence is absolutely perfect. I would love to have that around my yard! That old fence is wonderful in your photo! I love that old fence - it's very intricate looking. I especially like the one with the flowers - very pretty. That is a beautiful fence! You did a great job capturing it's natural beauty, too! Wow! These are gorgeous. So sharp. Love the fence. These are just lovely. It's amazing how much beauty can be found in a cemetery! These are beautiful, I love the first and last shots. You are rocking the butterfly shots! There's sooo much more I have to learn about photography... as they say, I haven't even scratched the surface, yet, but one thing I'm eager to learn is how to take a photo where only part of the subject is in focus like this... is that in the taking of the photo or is it edited that way? Love the depth of field in the first 2 shots. Great shots! I like the colors and composition. Once again, I sit in utter awe of your photographs! I feel as if I could touch this fence. I love how it makes me feel! And the butterfly is amazing, as well! Beautiful shots like always. Happy Thursday! Really wonderful photo. I love the texture and color of the fence. Magnificent approach. love the way you singled out one spire on the fence. and the lighting of the butterfly image is spectacular! 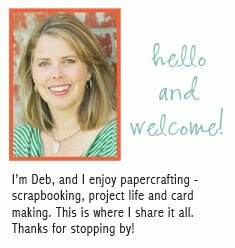 As always Deb ~ you inspire me! Beautiful!!! Oooh, I love that fence, so pretty. Nice shots! It's funny that these are the second beautiful cemetery shots I've seen on blogs this week... :) Must be getting close to Halloween. That is a beautiful fence! And your butterfly shot is amazing! Absolutely gorgeous, Deb! That might be my favorite butterfly shot yet! Really beautiful, I love the angles that you shot the fence from! Whow! They are incredible photos. What an enchanting place you've found to take photos! Deb, you would love walking around Galveston - there are fences like this everywhere!! 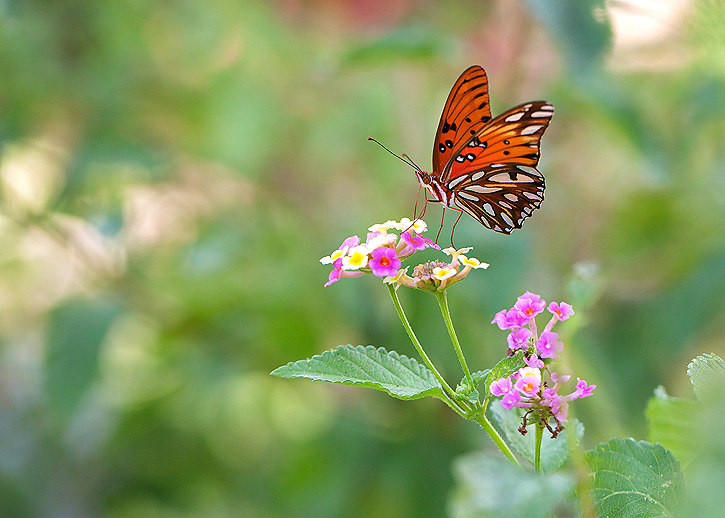 Such beautiful images and that butterfly, so crisp! That butterfly shot is awesome! Amazing crispness. AMazing DOF in that first shot. They're all so crisp and clear. So pretty! Oh I love architectural photography. The detail and coloring on that fence is beautiful. That butterfly is stunning, whoa! 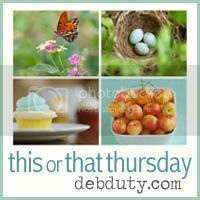 Deb, that butterfly needs to be submitted to a contest that involves a prize...a big ONE, because I think you would win. The detail, the focus, the DOF......LOVE IT!! I love that shot with the lantana against the wrought iron fence. It's a lovely wrought iron fence. One tha someone once must have enjoyed making as there is so much lovely detail especially in that latice work and it's lovely aged patina. Your butterflies pics Deb are always so sharp, so bright and colourful! Thanks for taking time to stop by my blog. I'm so glad I found your photo challenge. Your photography is so beautiful. It gives me something to shoot for . Sorry - linked up in a hurry yesterday. :) These are really beautiful shots, Deb! Thanks for hosting! Have a happy rest of the week, Deb! I love the butterfly. difficult image well done. it is so clean and crisp. These photos are lovely! Love the shades of green - a favorite color of mine. I didnt' know you hosted a linky party! Lovely photos. P.S. My husband and I were supposed to visit the mountains for our anniversary this week. But we're both sick and we missed the peak of the leaves because of it. Bummer. You'll have to take photos of the leaves for me at your mountain place. Please?